It doesn’t matter how big or how small your business is or where it is based, in the north or the south of England or even abroad, access to archived documents and retrieval is important wherever you are based. DataSpace UK is based in the North West but they can offer you their services wherever you are based. They can store your archived documents whether they are paper copies or in digital format. Paper documents are collected by our own fleet of secure vehicles all over the North West and North Wales. If your pick up is from another part of the UK, then we offer the same secure pick-up service through our ‘alliance’ network. Your paper documents are transported to our secure facilities which are fully compliant to BS545 regulations. DataSpace UK has all the necessary security equipment in place too including fire and theft security monitoring 24 hours/365 days a year as well as CCTV surveillance. We offer storage for archive boxes â€“ which we can supply â€“ individual files, large scale plans or diagrams plus specialist files such as patient records and x-rays. 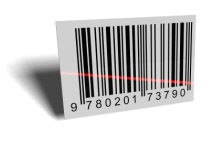 We have an advanced barcode tracking system so that your documents can be tracked and retrieved to order, within seconds! When you need to access these documents, we have a scanning facility which means your document is retrieved and scanned and emailed to you within the hour. So if you are looking for a secure way to store your archived materials offsite, please contact DataSpace UK to discuss your requirements. Even if your data storage requirements are relatively small, we can look after it and the space you occupy can grow to accommodate your future needs! Please call our team on 0800 028 8956 or request information online using our form. Keep track of us on Facebook, Twitter and LinkedIn.